Where are you? Home > Reviews > Mulatu Astatke / the Heliocentrics - "Inspiration Information"
Mulatu Astatke / the Heliocentrics - "Inspiration Information"
Third in Strut’s ‘Inspiration Information’ series, this one teams Ethiopian veteran jazzer Mulatu Astatke (star of Ethiopiques series) with UK funky jazzers Heliocentrics. 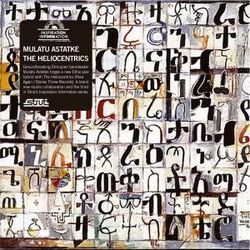 Got a nice feel this one with the Ethiopian jazz groove being embellished by Heliocentrics as it flows along sometimes going off at heavier tangents then others hitting the chilled feel of ‘Blue Nile’ . My pick is the funky percussion driven ‘Live From Tigre Lounge’ . Excellent.